Well established Haunted Houses are great, but did you ever think that your neighbor or the guy down the street might be hosting something very similar? Home Haunts are a way for homeowners to flaunt their passion for the season and scare everyone in the neighborhood! Some are interactive, others heavily decorated, but all ensure a good spook. 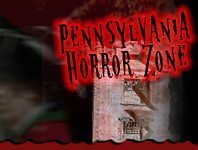 PAHauntedHouses.Com has listed a handful of local homeowners who want you to share in their thrill this Halloween. Come one, come all, but prepare to be thrilled. The nighttime awaits you – you never know what kind of thrill your neighborhood might have up its sleeve.